Willowbend Kitchen & Bath's showroom is the focal point of a small team of diversified professionals and suppliers in Salt Lake City, Utah. We are backed by our own licensed General Contractor Remodeling firm Mark Builders with over thirty years in home remodeling experience. 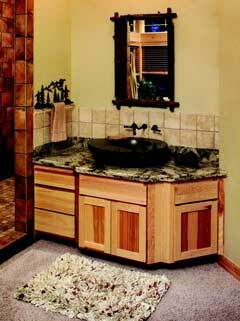 We have custom manufactured cabinets, fine furniture style cabinetry, entertainment centers and other fine quality Kitchen & Bath fixtures and accessories for the past ten years here in Salt Lake City and the surrounding areas. Utilizing the most up-to-date computerized design kitchen and bath design tools, years of design experience, and years of actual remodeling experience, your home improvement project cannot be made easier. We take pride in working with you to give you exactly what you want, from layout, fixtures, cabinets, countertops, finishes and colors for that special look of your own. From a simple bathroom vanity to a complete new kitchen, Willowbend Kitchen & Bath can design exactly what you are looking for. 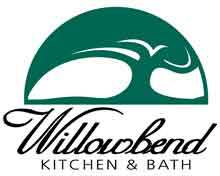 Willowbend Kitchen & Bath has the specialized knowledge and resources to handle your specific remodel project. A full-service remodeling contractor, Willowbend Kitchen & Bath handles all aspects of your project, from framing, electrical, plumbing, drywall, paint, cabinetry, countertops to finish.